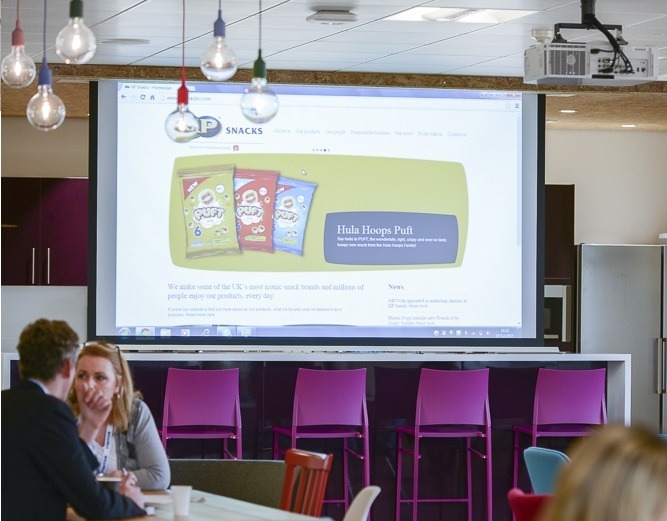 As one of the largest snack companies within the United Kingdom, an efficient presentation system is a priority for KP Snacks. And, being the home to some iconic and well-loved brand names they have the appetite to grow through innovation. Following the purchase of KP by German company Intersnack, the UK head office has relocated to new premises in Slough which sit against the backdrop of the impressive Windsor Castle. The interior colourful décor and furnishings are modern, with a focus being open space working. The well-considered layout lends itself extremely well to collaboration, there are many small to mid-size huddle areas dotted around which are formed by fixed and un-fixed furniture and fittings. 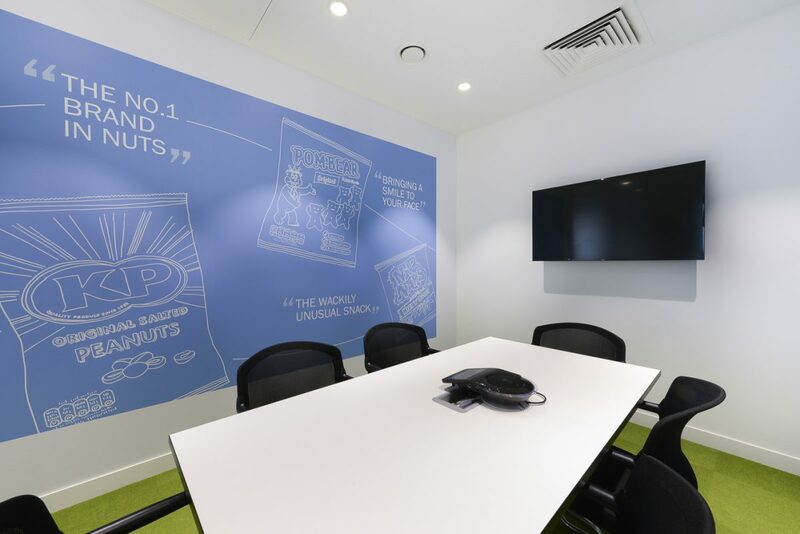 Before the move from Hayes, KP snacks had identified that a lack of meeting space and out of date technology should be addressed as part of this new build. As Project Manager Amiya Kagalwala explained “Previously in Hayes, when people put their presentations up, the colours weren’t very good, the colours weren’t always shown accurately”. 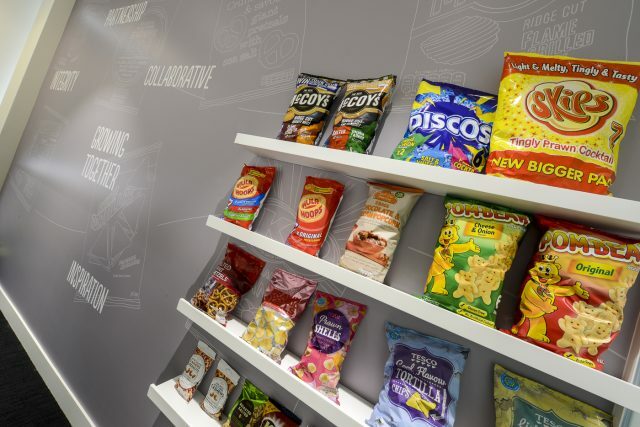 KP Snacks wanted to deal with a reliable nationwide company who were highly competent to deliver their audio visual solutions. Good relationships with Involve paved the way for honest discussions and provided solid advice for Slough and KP Snacks’ other sites. 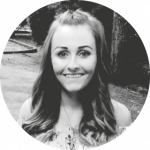 Involve developed proposals to provide the right experience by using the right technology. 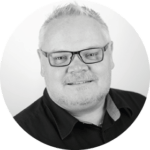 Guy Kuipers, Business Manager for Corporate Sales for Involve added “Involve helped to change the original solution that had been specified, to flat panel screens for a more corporate environment. The originally specified projectors weren’t going to be bright enough, especially when blinds are open; KP Snacks listened to our advice and re-scoped”. “We added some bespoke solutions we had designed too. Simplicity was the real route that they wanted to take”. Amiya further remarked “We didn’t (previously) have any flat panel screens, just projection. Flat Panel Screens are much higher quality”. Involve’s large, in-house Projects team all Project Managed by Andy Stokes, ensured the project delivered on time and within budget. “Having this kind of space where we’ve got screens in different environments, not just in meeting rooms, but in booths as well, was our ideal. We’ve now got semi-formal spaces where you can work and have presentations without taking up meeting rooms with non-private meetings, which make up the majority of meetings we have”. “The projectors we now have are of a higher spec than previously, with much better image quality. We have also been able to increase the volume of equipment. 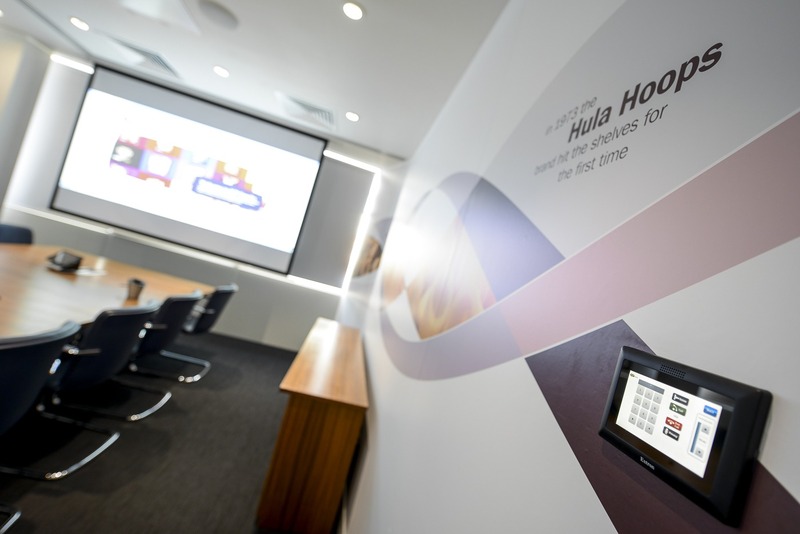 And in the boardroom we have Barco Clickshare, HDMI and VGA which helps people conveniently connect presentations. All the newer technology makes life easier. It took a bit of getting used to for the employees but once they’d used it a couple of times they got used to it and it’s getting quite popular”. “People ARE using the spaces as you’d hope them to, a lot more informally. “We had a big team of people involved in the design of the space, and we have just won Team of the Quarter for delivering up this project”. “The key to all of this from the outset was – can people plug into this and make it work? And the answer is now: yes”. The result is seven small meeting rooms, three offices which double up as meeting rooms when they are free, and booths (small huddle spaces designed with the user in mind) which are semi-private environments. “We have people coming here after long journeys and everything works which is the first thing, there are plenty of accessible power sockets, data sockets, the wi-fi and the technology works, everything sounds how it should. Involve did a good job”.